There are some iconic Australian sights in Queensland. 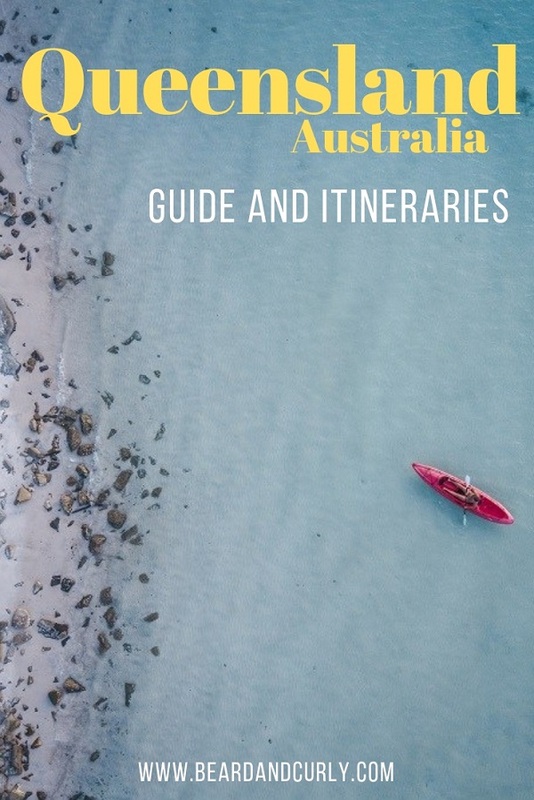 The picture-perfect beaches at the Whitsundays, diving the massive underwater coral formations in the Great Barrier Reef, and off-roading in Fraser Island; just to name a few. Queensland has some impressive spots. With that being said, our two weeks in Queensland was a bit frustrating. The long driving days seemed endless and because the drive is nowhere near the coast there is very little to see at times. To see anything remarkable we needed to drive at least two hours off the main highway. While there are some amazing places to see in Queensland, it was our least favorite state in Australia. But don’t let our opinion deter you. The sights are incredible and if it wasn’t for all the driving we would have loved the place a lot more. 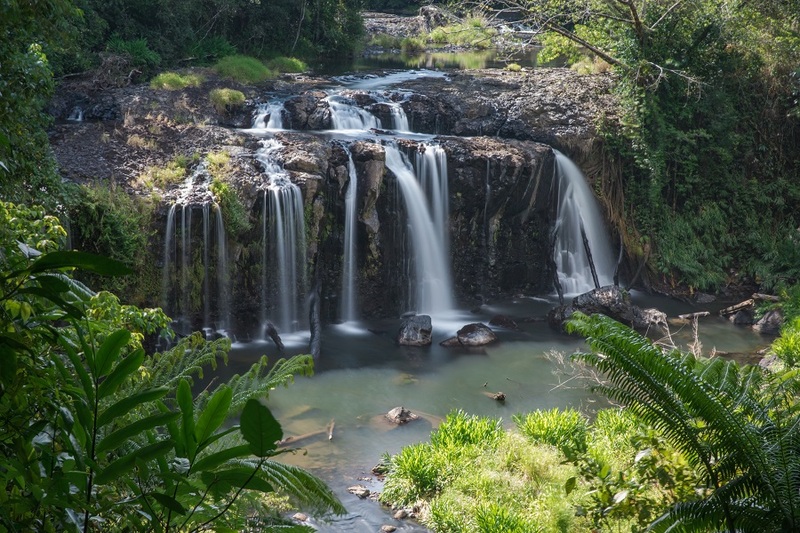 Perfect for backpackers or families, we cover the 20 best places to visit in Queensland. 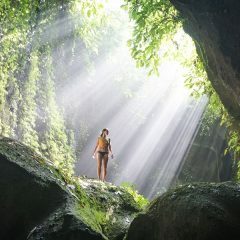 Check out the incredible spots below and make a decision for yourself. The best time to visit Queensland is during the winter months between June and September. The north is either tropical or arid. It gets extremely hot in the summer and many areas are prone to flooding from monsoon storms. Roads in the north are often closed in the summer. Renting a vehicle makes sense for shorter stays in Australia. There is the option to rent small vehicles or campervans. Australia has campgrounds, including free ones, throughout the country. Renting a campervan would double as your accommodation. Renting a smaller car would require stays at Airbnb, hostels, hotels or tent camping. We recommend hiring a campervan from Jucy, Hippie Camper or Britz while touring Australia, giving greater flexibility on your itinerary. Campervans will end up saving money as well. A campervan rental costs between $400 and $700 AUD per week depending on the size and quality. Bus companies such as Firefly Express, Loka, and Greyhound offer direct route services as well as tours. They are flexible with hop-on hop-off packages. Direct bus routes between major cities cost between $75 UAD and $150 AUD. Tours can range from 3 days to 16 days. For example, Oz Experience (Greyhound) offers an 11-day tour from Brisbane to Cairns for $1029 AUD. Taking the bus will limit your stops to the destinations within the bus itinerary. This may be a good option for those not looking to plan much of your trip. There are two apps to download before heading to Australia. Campermate is a free app that provides information on campsites, things to see, petrol, and lots more. WikiCamps Australia is a paid app that has tons of information and user comments. Download the comments which are available offline. WikiCamps is great for its extensive list of campsites and comments to help provide information and suggestions. It is a one-time cost of $7.99 AUD. 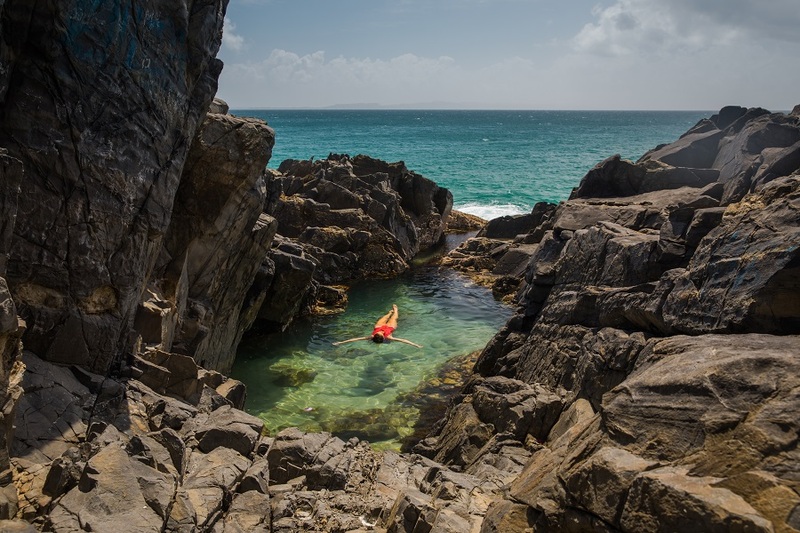 Noosa is home to a spectacular national park. Several white sand beaches and a coastal walk are reasons thousands flock here during the summer. The coastal walk takes four hours and is the highlight of the park. 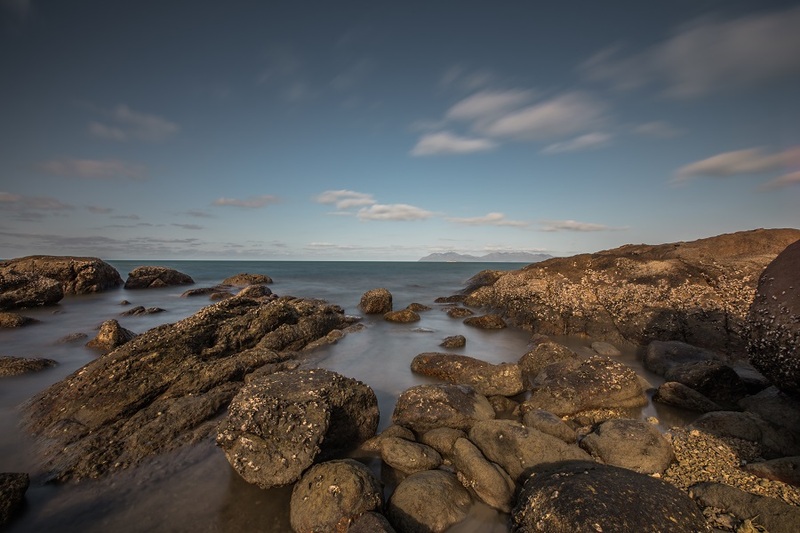 There are several overlooks as well as the Instagram worthy Fairy Pools; make sure to visit during low tide. 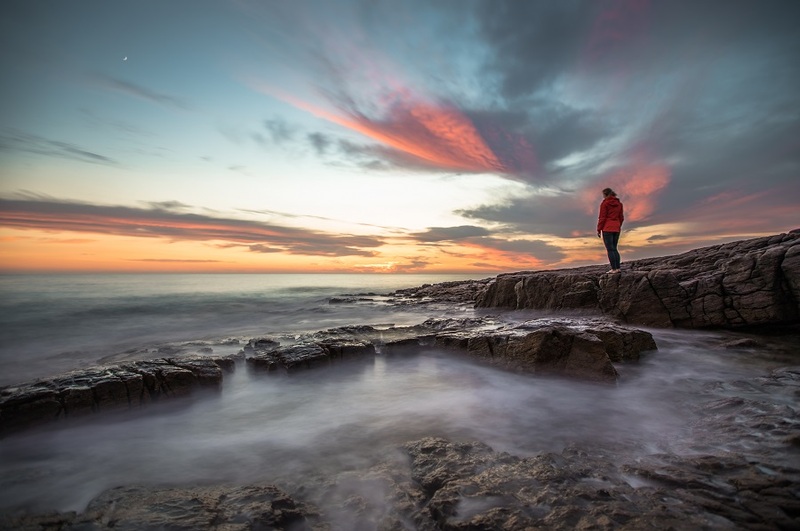 Point Arkwright is a hidden gem and one of my favorite sunrise spots in Australia. This is a little-known location, so a visit will be sure to have only a few locals around. 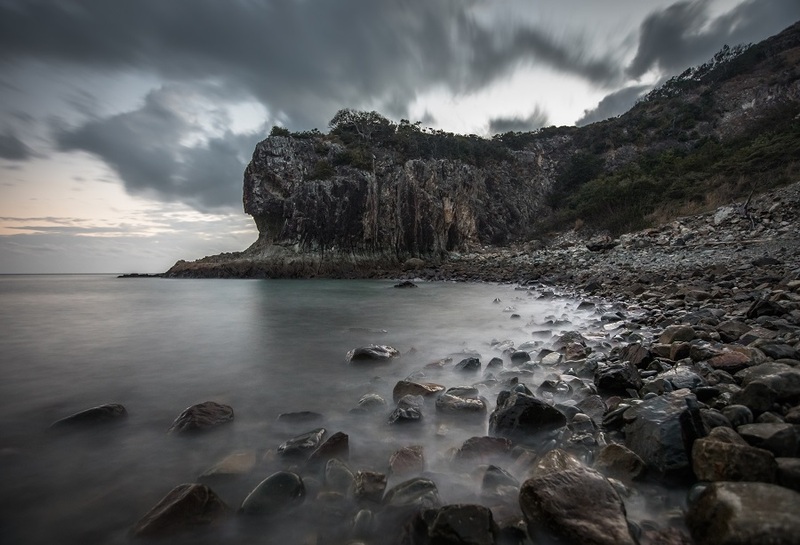 It is located 30 minutes south of Noosa. Fraser Island is one of the highlights of Queensland and a mecca for 4×4 enthusiasts. It is the world’s largest sand island, offering perfect conditions for offroad driving and beach camping. A trip to Fraser Island can be independent or by a tour. If you have your own 4×4 vehicle, take the Manta Ray barge from Inskip Point or the Kingfisher Bay Ferry from River Heads. Tours typically originate from Hervey Bay. A two-day visit would include stops at Lake Mckenzie, the SS Maheno shipwreck, 75 Mile Surf Beach, Rainbow Beach, and rainforest bushwalking. A visit to Queensland should not be without a stop at Fraser Island to explore the incredible coastal sand dunes, rainforest, and bizarre lakes. Costs to go to Fraser Island: Ferries cost between $75 – $100 AUD one-way or $120 – $175 return for a 4×4 vehicle and passengers. Joining a two-day tour will set you back $300. 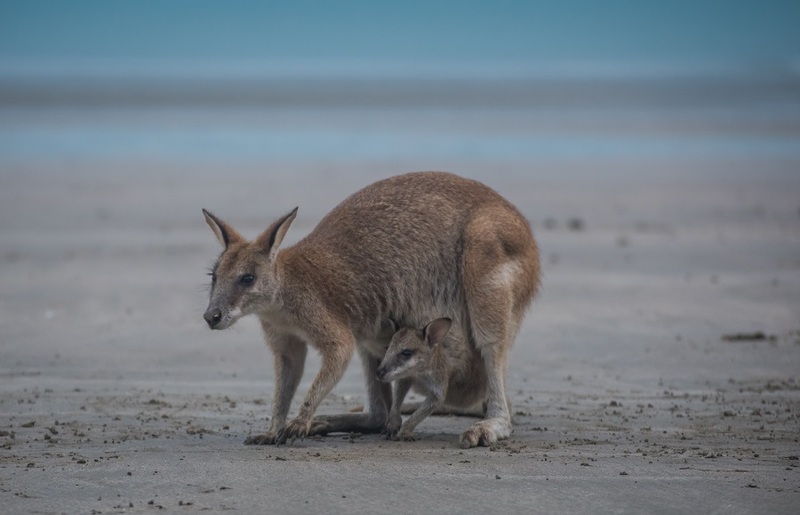 Tip: For more information visit Fraser Island Without a Tour. Typical 4×4 driving on Fraser Island. Photo by Jack and Jem of @cyaround_oz. 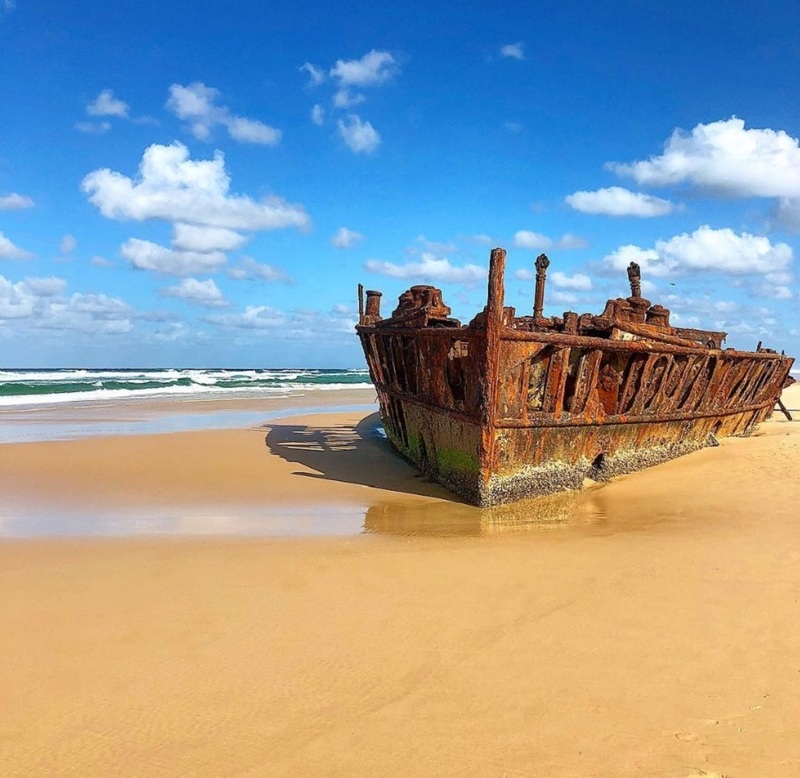 SS Maheno shipwreck on Fraser Island. Photo by Jack and Jem of @cyaround_oz. 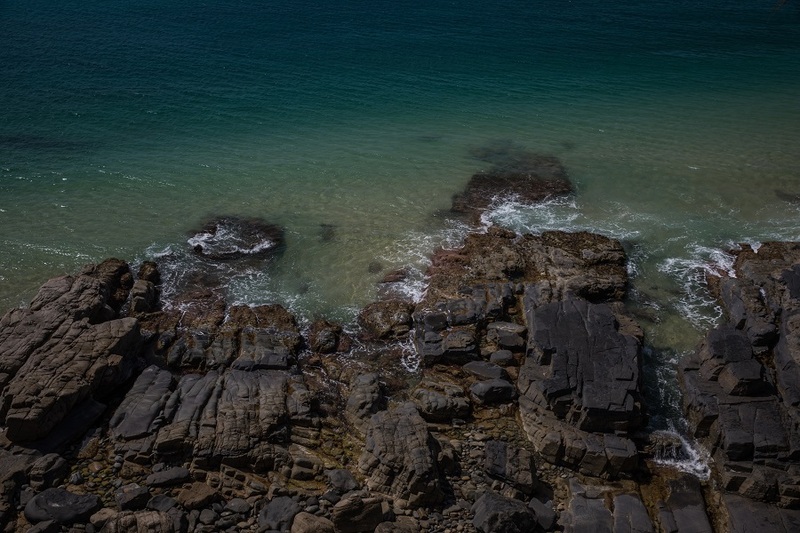 Yeppoon is a small coastal town halfway between Noosa and Airlie Beach. I found this spot by chance, but it ended up being one of my favorite beaches to photograph in Queensland. There is a small regional park in Rosslyn Bay just beside the marina. One trail leads to the Rosslyn Bay Lookout, the other goes to a small hidden cove called Pebble Beach. 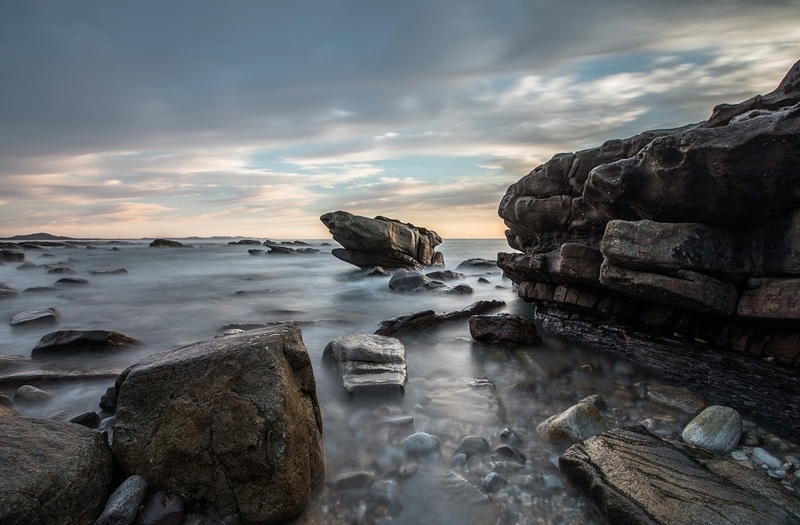 This rocky beach is very eerie and a perfect location for sunrise or sunset. Rosslyn Bay Lookout is also a good place to spot migrating whales. 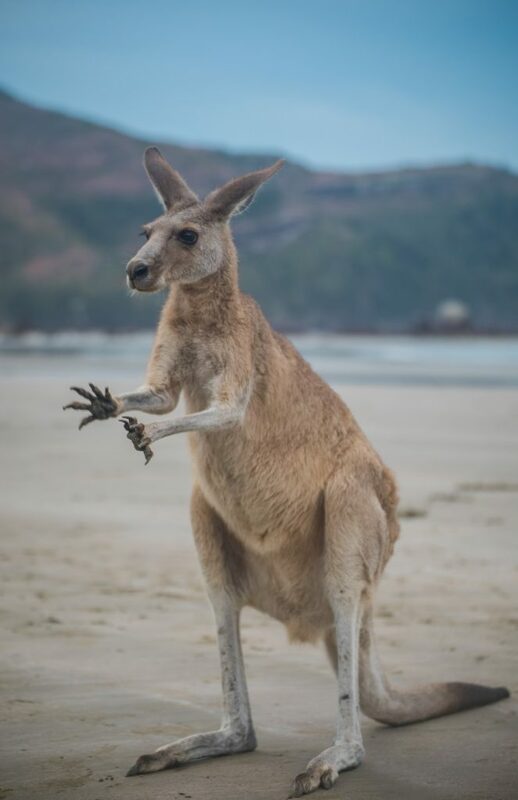 When I looked up Cape Hillsborough, I saw incredible pictures of wallabies and roos on the beach for sunrise. However, what the photos did not show is that a park ranger comes every morning before sunrise to feed the wallabies and roos. Tourists line up a few meters away in hopes of getting that epic sunrise shot with a kangaroo on the beach. While the experience was not what I originally imagined, it still was a very unique sight to see. After their food is gone, they jump around the beach and offer plenty of opportunities for pictures in a more natural way. This has become to crowded with tourists, and starting in May 2018, they now have an entry price of $22 for adults and $14 for children. Airlie Beach is a backpacker hub as well as the jumping point to the Whitsunday Islands and the Great Barrier Reef. It has some of the best food in Queensland; with a wide range of cuisine, there are plenty of options to choose from. We opted for the fresh seafood at Fish D’Vine or the homemade pasta at La Tabella. Make sure to prearrange a tour to the Whitsundays especially during the peak seasons. Our absolute favorite thing we did was visit the Whitsunday Island. The white sand beaches and picture perfect hill inlet are just some of the highlights. Tours originate from Airlie. Tour options range from small sailboats to large catamarans, offering day trips as well as overnight cruises. The Camira is a large catamaran with daily trips to Whitehaven Beach and the Hill Inlet. The full-day tour includes food and alcohol. Prima and Summertime are traditional sailboats with excellent reviews that both offer overnight sailing trips. For a list of all boats sailing/cruising around the Whitsundays, check out sailing-whitsundays.com. 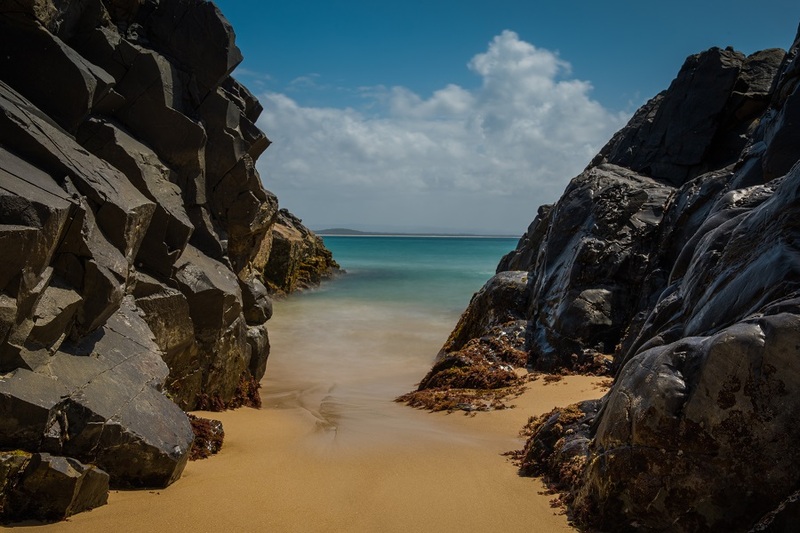 For a more intimate way to explore the Whitsundays, camping is an awesome option. 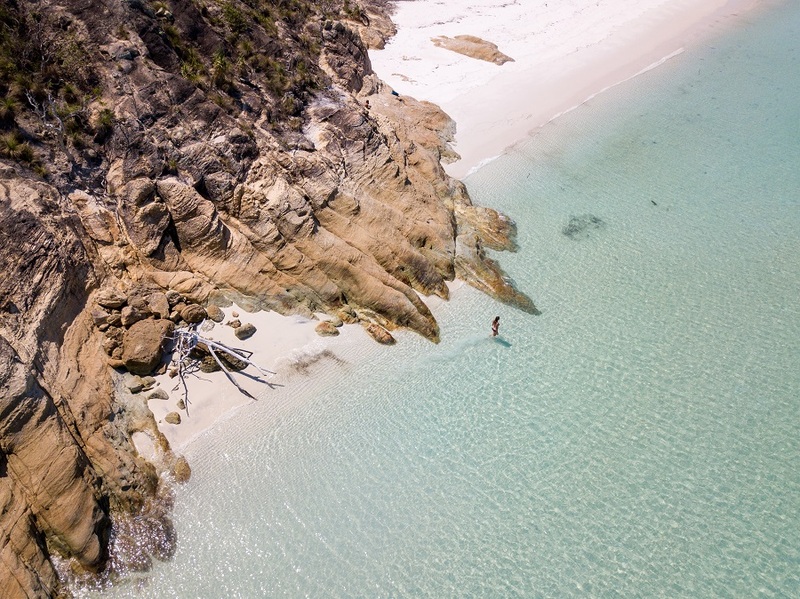 Campsites are located at the end of Whitehaven Beach; perfect to have a few hours each morning and late afternoon with the beach almost to yourself. You can rent a kayak for the duration of the trip, which is a great way to explore the island. It is possible to paddle over to the Hill Inlet Lookout. 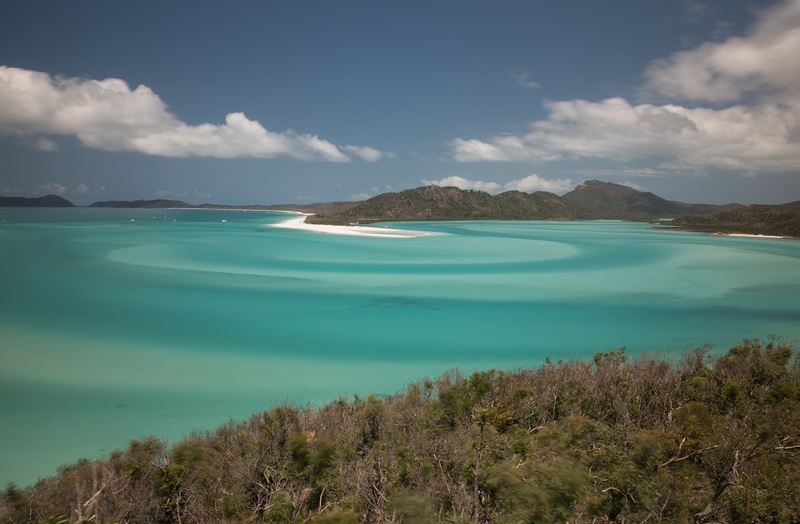 For more information on camping, check out our guide to camping at the Whitsunday Islands. Whitsunday Island Costs: Day trips to Whitehaven Beach and Hill Inlet start at $150, with overnight trips starting at $300. To camp on Whitehaven Beach, boat transfer cost up to $160 AUD with Scamper and campsites cost $6.35 per person per night. 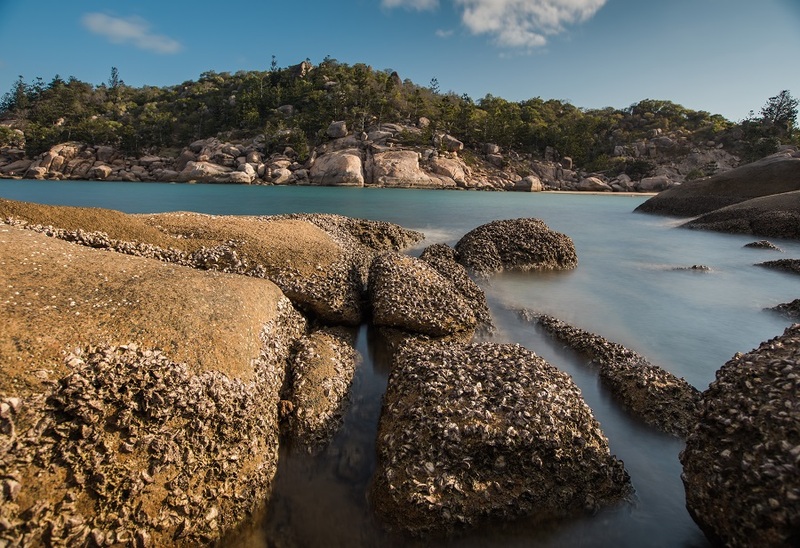 Bowen Beach is a small beach town one hour north of Airlie. This is a great beach to relax for the day while on some downtime waiting for your Whitsunday Island cruise. A short walk from the end of the beach leads to a nice lookout. 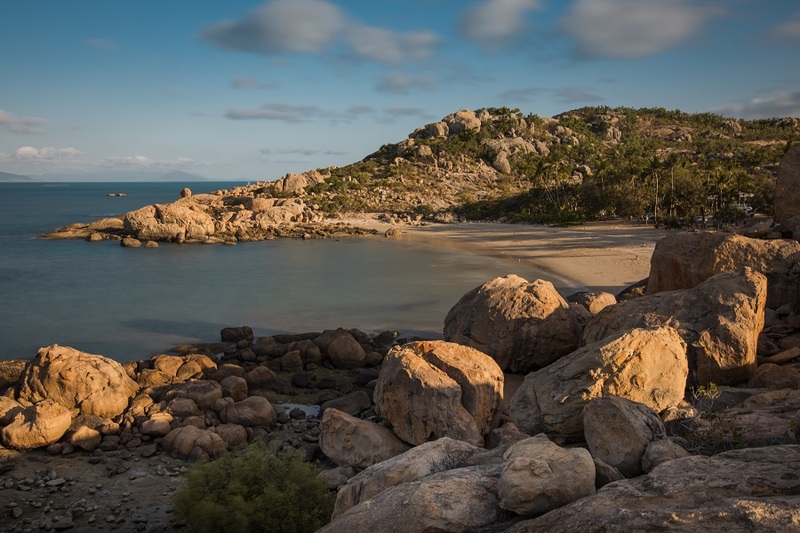 Magnetic Island, off the coast of Townsville, is known for wild koala bears and secluded beaches. It is a 30-minute ferry from Townsville. Upon arrival, rent a small open-top miniature jeep for $60 a day. 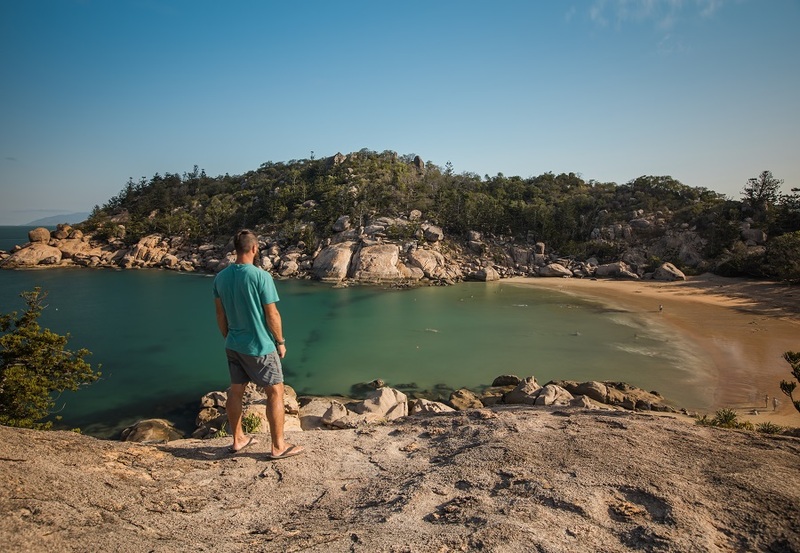 Cruise around the island with stops at Alma Bay, Horseshoe Bay, and The Forts; where there is a chance to spot a koala in the wild. Wallaman Falls is the largest single-drop waterfall in Australia. There is an overlook as well as a trail down to the falls. The hike down takes 30-45 minutes. The hike is quite steep; to get closer to the falls there are sections of large boulders that you will have to navigate over. It is worth the effort; the views of the falls are unparalleled. Catch a sunset skydive with Skydive Mission Beach, the number one skydiving location in Australia. The skydive has incredible views of the coastline and reef and ends with a beach landing. 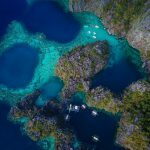 A 7,000 foot tandem dives cost $200 AUD or go high with a 15,000 tandem dive for $310. 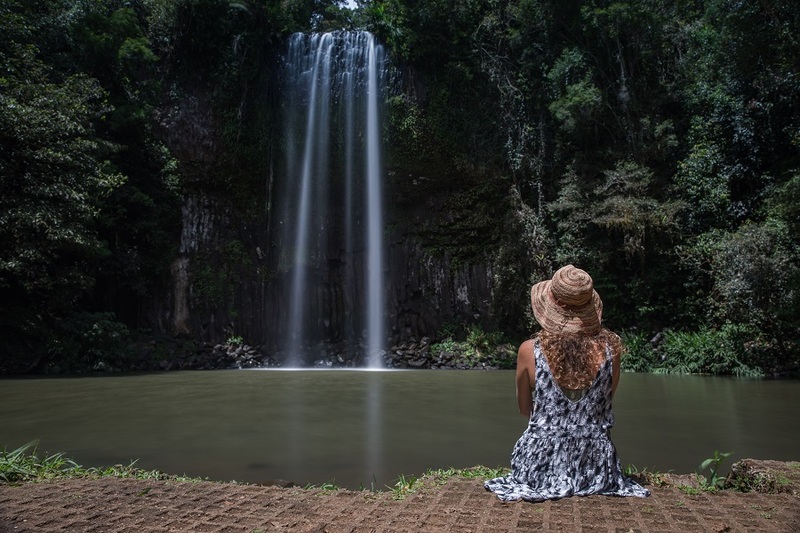 The waterfall circuit was one of our favorite days in Queensland; exploring several waterfalls that are very close to each other. The circuit is located on the Palmerston Highway near the town of Millaa Millaa. Our favorites were Millaa Millaa, Ellinjaa, Zillie, and Wallicher Falls. 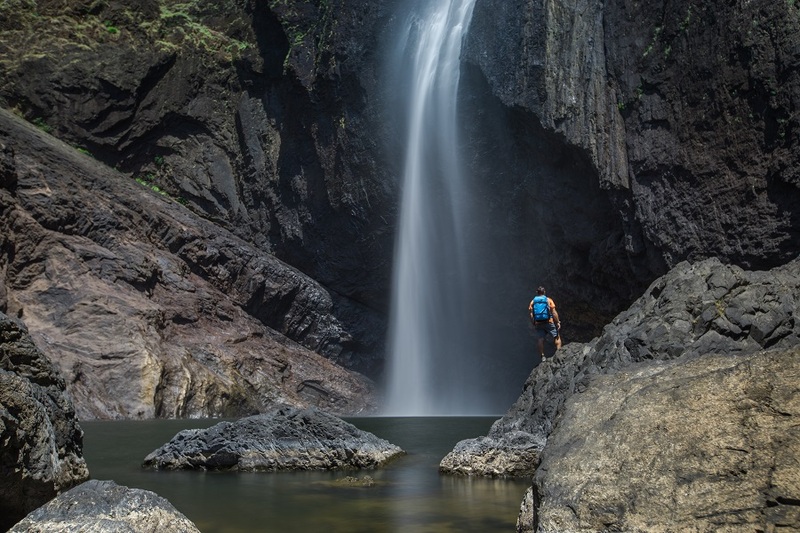 Others nearby and worth checking out are Nandroya Falls and Malanda Falls. 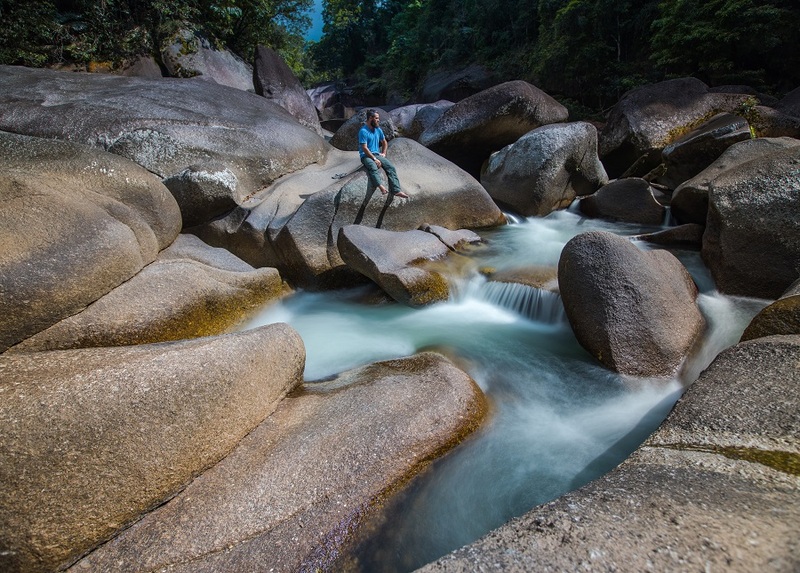 The Babinda Boulders is a great spot in Queensland. There is a campground, picnic area, a swimming hole in the river, as well as walking paths to view the boulders. 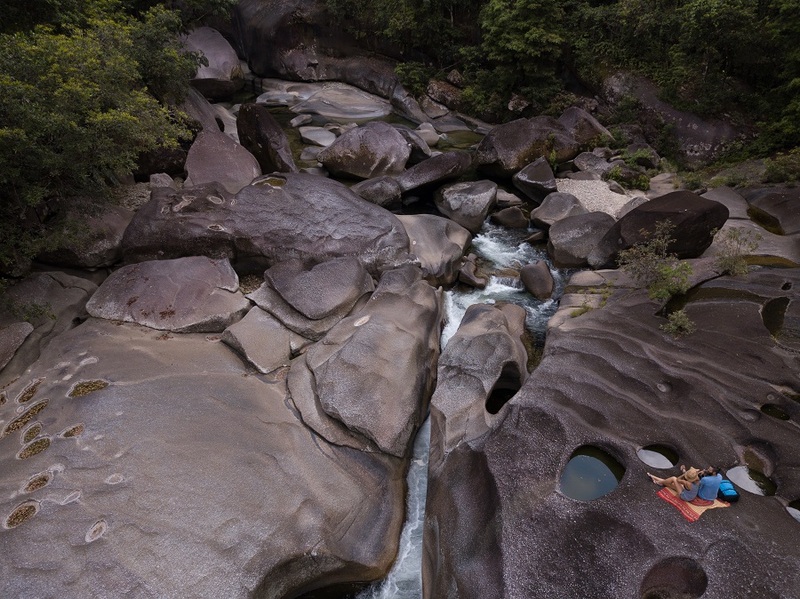 A section of the river has carved through massive boulders and is a beautiful spot for an afternoon swim and BBQ. 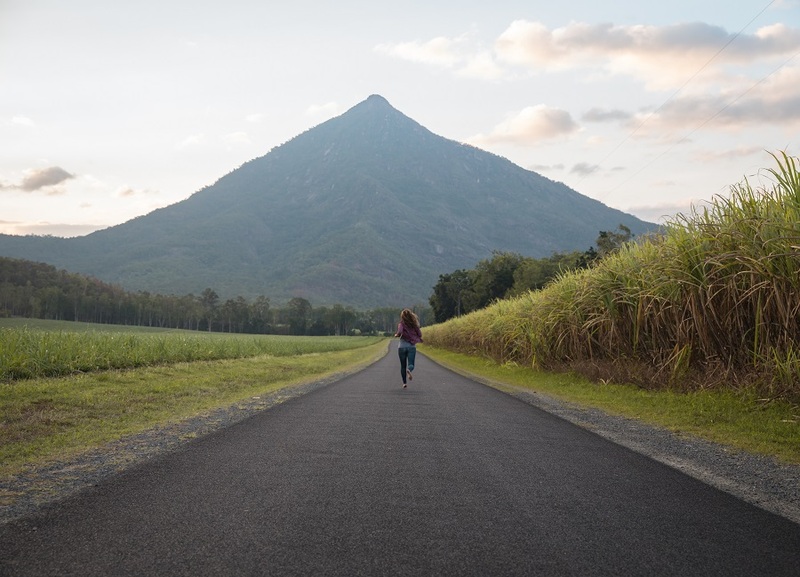 Budget Stay: The Babinda Boulders Campground is free, but with limited spots make sure to show up early. Another great free campground is near the Babinda Train Station on Howard Kennedy Drive. Walshs Pyramid is a mountain that is amazingly shaped like a pyramid. Is as impressive as the Great Pyramids? No, but it is a quick stop en route to Cairns. For pictures with the road leading to the mountain, turn on Behana Gorge Road and follow for about 5 minutes. The Great Barrier Reef is one of the most amazing places we have ever visited and has been on our bucket list for years. The reef is best accessed from Cairns. Companies offer day trips, overnight sailing cruises, as well as diving liveaboards. 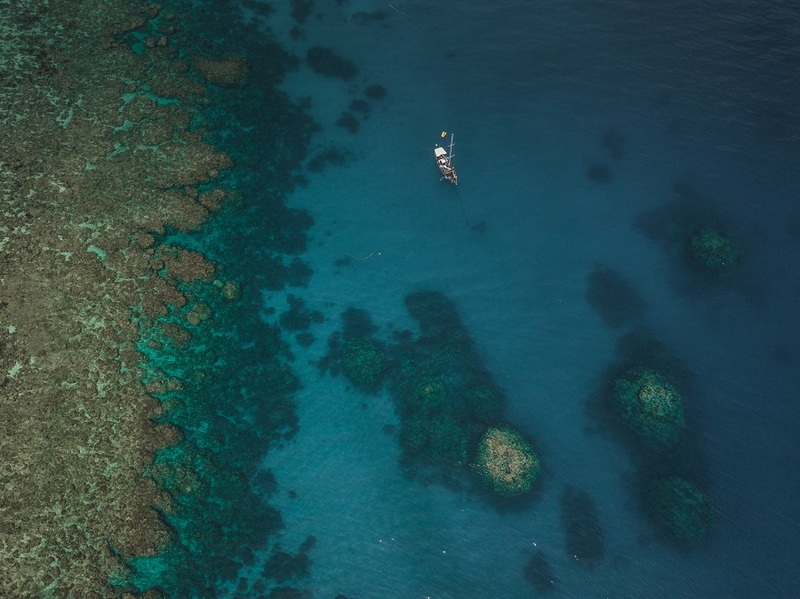 The best way to see the GBR is visiting the outer reef, where there are less tourism and damage to the reef. I strongly suggest avoiding the day tours, everything we heard about the tours has been pretty negative. 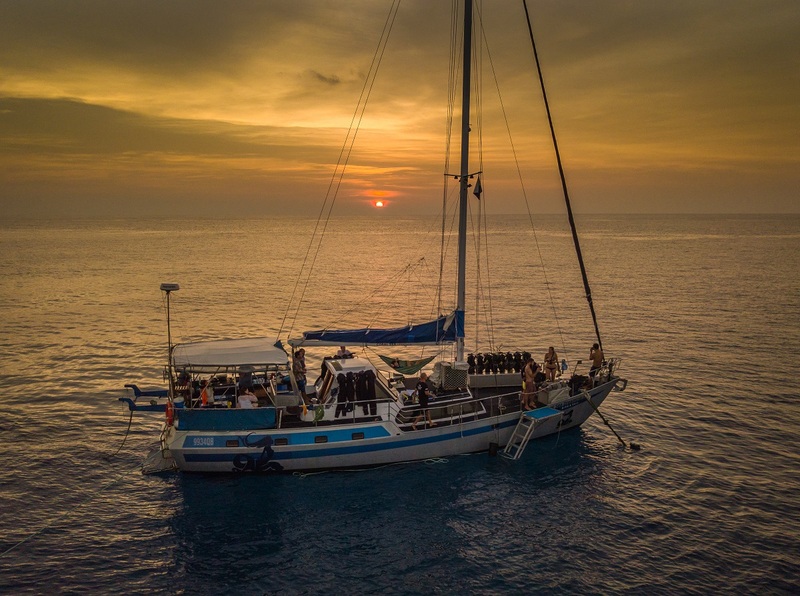 For those looking to snorkel/dive, but not wanting to stay on a liveaboard, Coral Sea Dreaming offers an incredible 2-day trip to the outer reef. If diving, the best option is to embark on a week-long liveaboard. Overnight Tour: We highly recommend a trip with Coral Sea Dreaming. The cost for one person (bunkbed) is $440 per person, or a private cabin (2 people) costs $920 AUD. 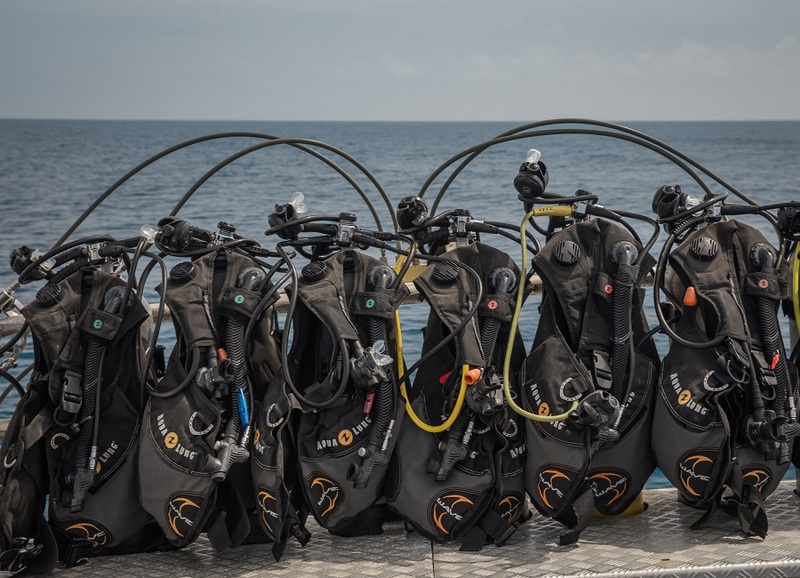 For more information including what the costs include and additional costs for scuba diving, check out our blog post about our trip with Coral Sea Dreaming. 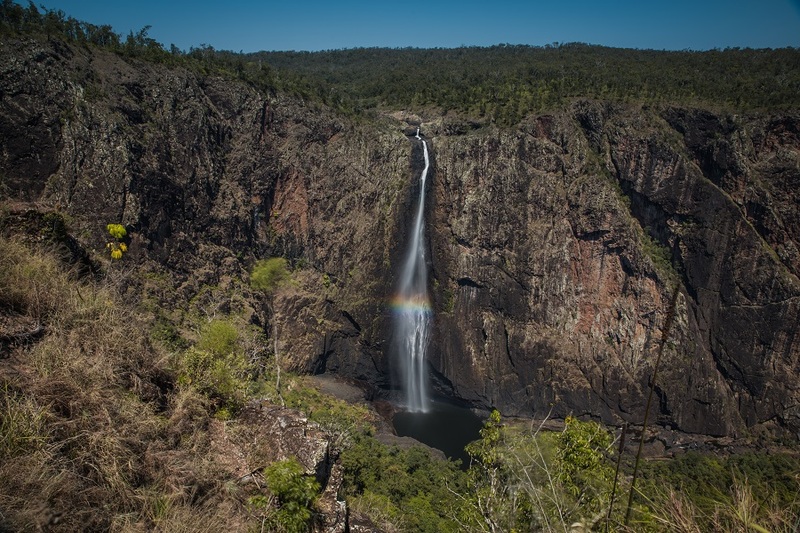 Barron Falls is one of the more picturesque waterfalls in Queensland. However, in the dry season, the water flow is significantly smaller; although it still may be worth a stop. This waterfall really comes alive during the wet season. Check out the differences between these two photos! 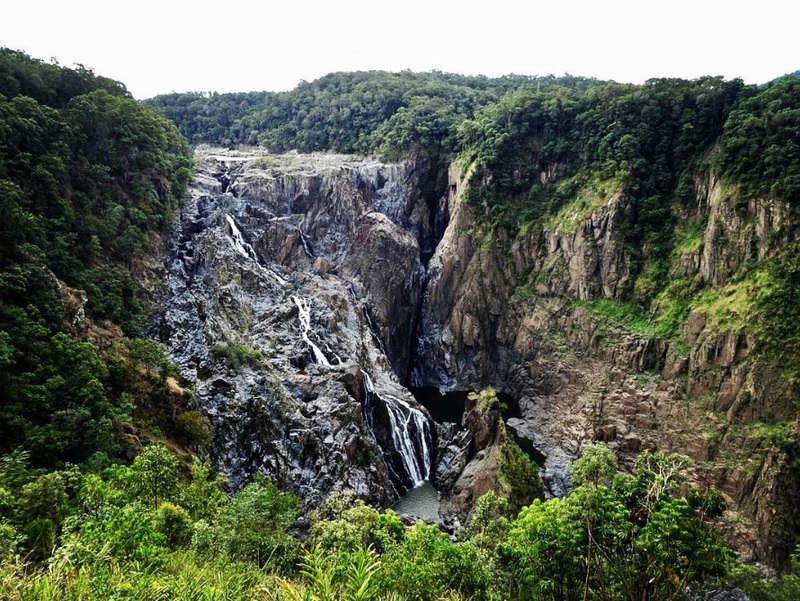 Barron Falls in the dry season. Photo by Shell @thisismebowie87. 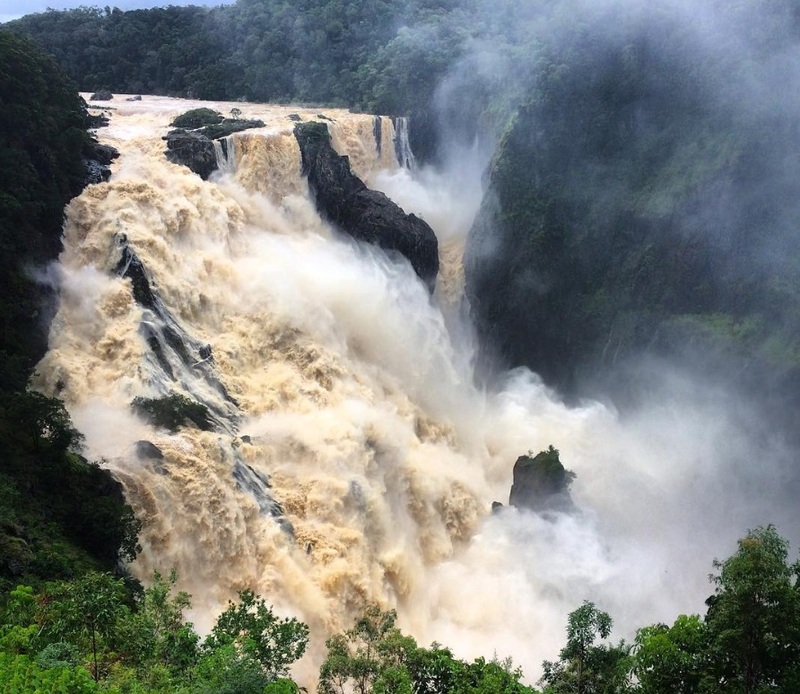 Barron Falls in the wet season. Photo by Sarah Latham @_sarahlatham. 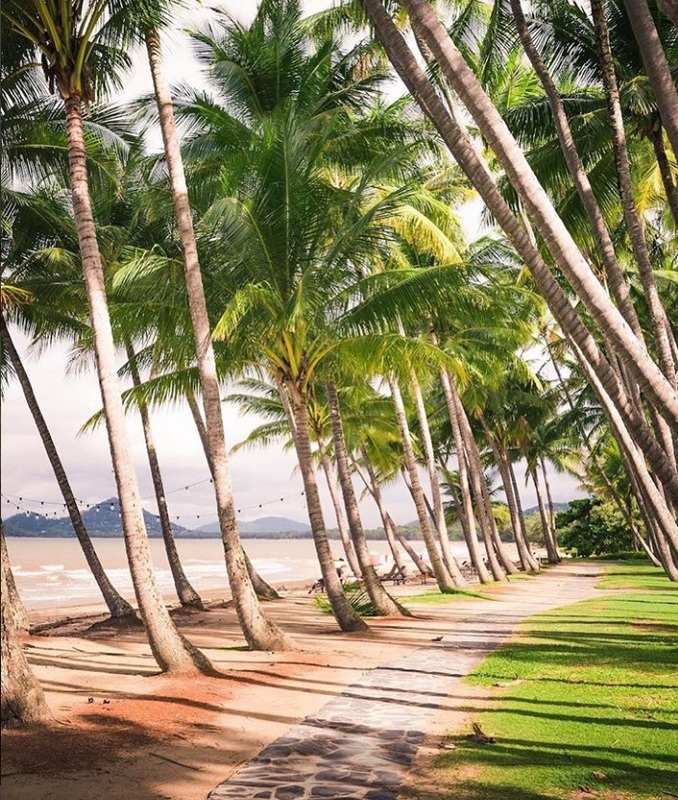 This palm tree lined beach is a perfect spot before finishing a Queensland road trip. Hit the sand and relax for a few days. The beach is home to many cute cafes and restaurants. 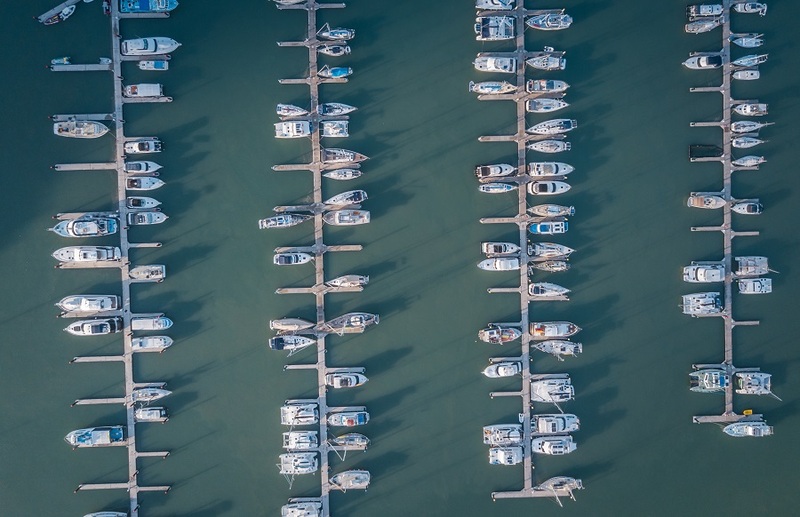 Port Douglas is a small fishing village with a cute marina full of shops and restaurants. 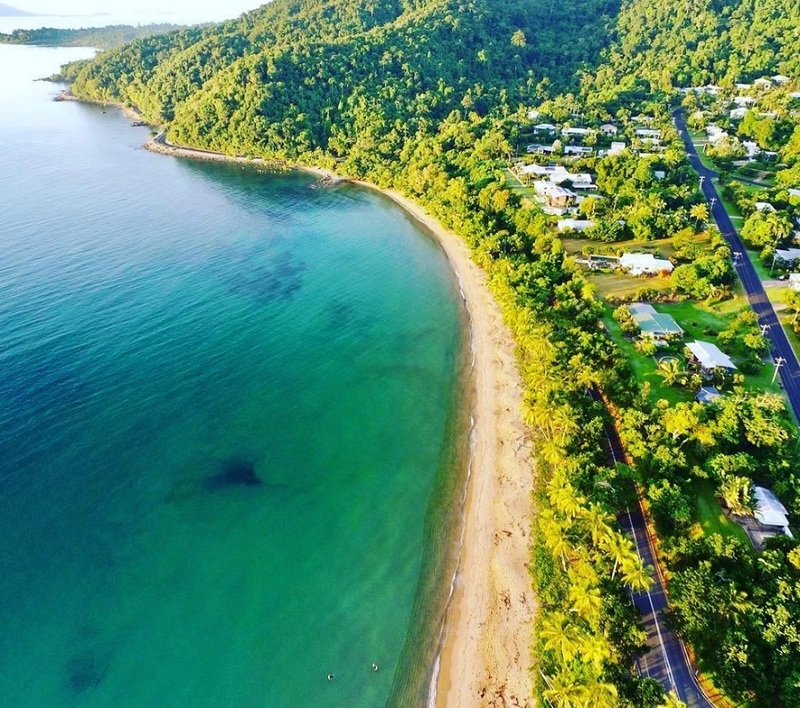 4 Mile Beach is located just south of Port Douglas, and is a great place to relax. 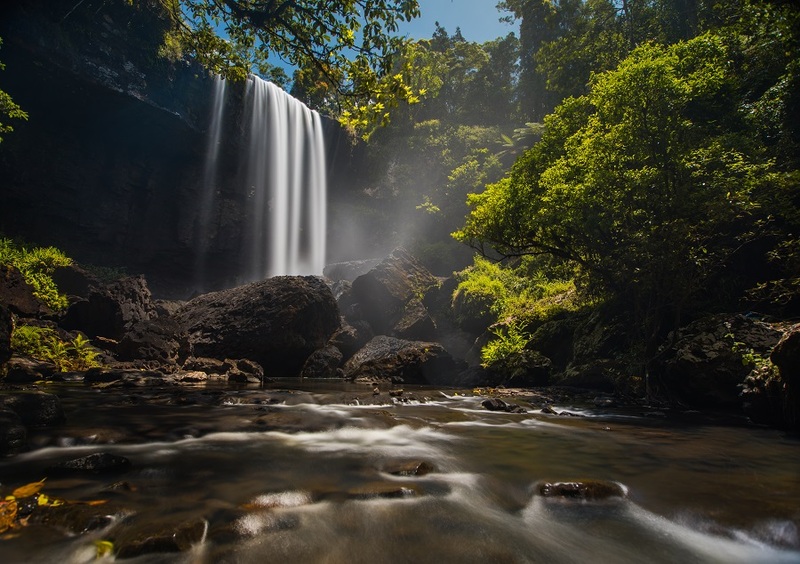 From Port Douglas, join a day tour to the Daintree Rainforest. Tours depart daily for a crocodile-spotting river cruise, the Marrdja Boardwalk, Cape Tribulation, and the Mossman Gorge. 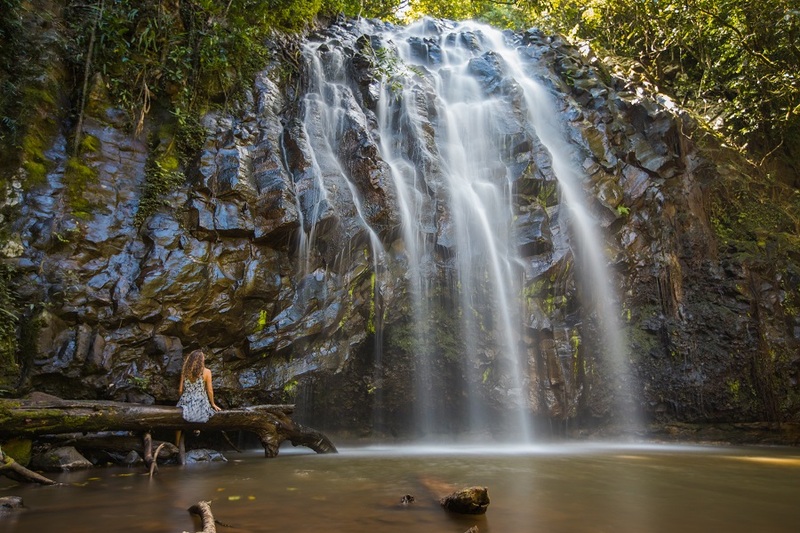 Daintree Rainforest Tours depart from Cairns and Port Douglas for $145 AUD per person. Day 1: Starting from Brisbane, it is a 2-hour drive to Noosa Heads. Walk around Noosa National Park visiting the fairy pools and exotic beaches. 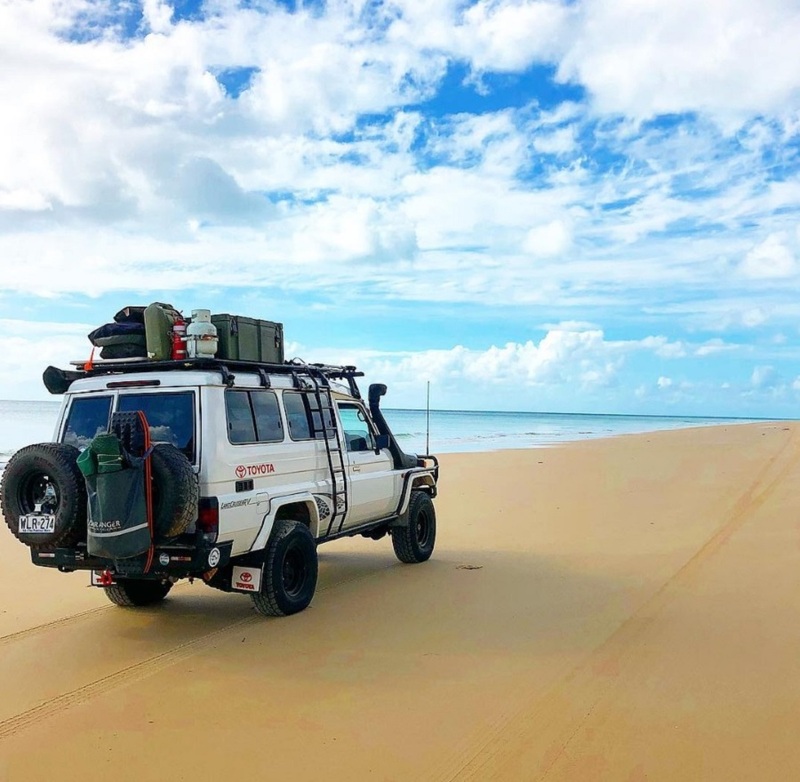 Day 2 – 3: Drive two hours to Inskip Point and take the ferry to Fraser Island. Spend two days on the ultimate 4WD adventure on Fraser Island. Day 4: Drive nine hours to Airlie Beach. Day 5: Spend the day at Bowen Beach and eat your face out at one of the excellent restaurants at Airlie Beach. 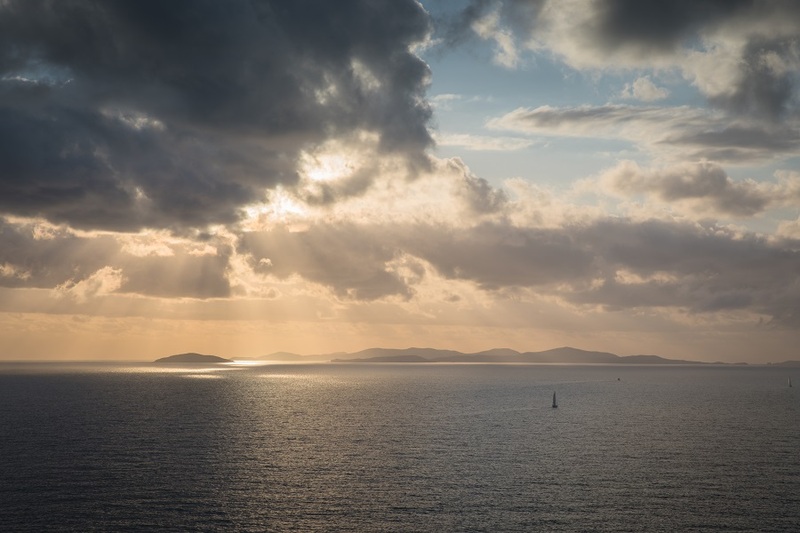 Day 6 – 7: Go on an overnight sailing cruise to the Whitsunday islands. This cove at Pebble Beach is a hidden gem. 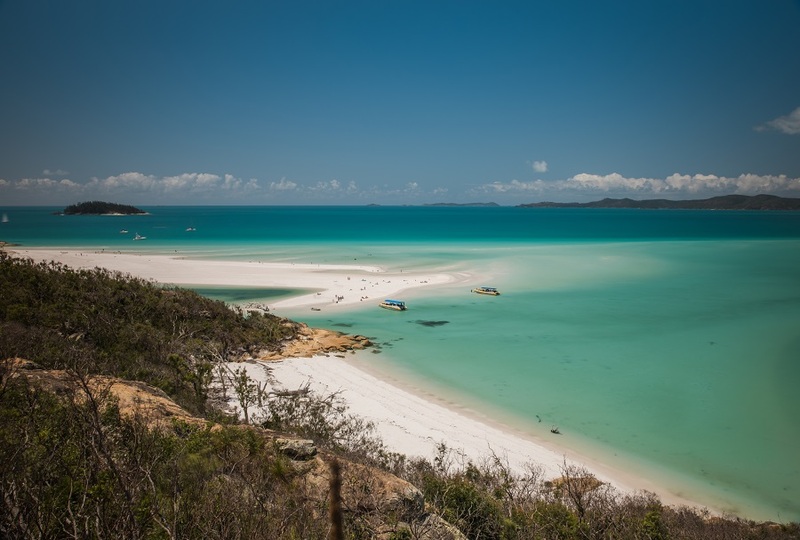 Day 6 – 8: Go on a three-day two-night camping trip to Whitehaven Beach. 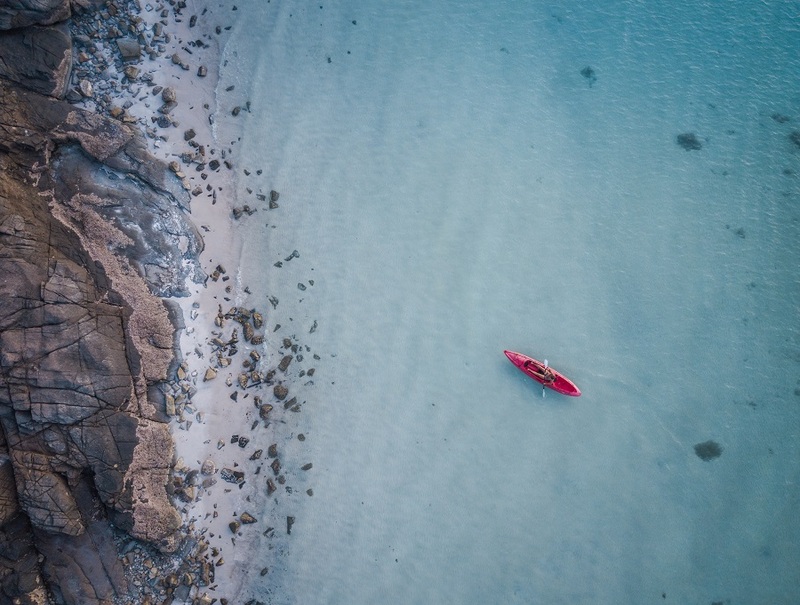 Rent Kayaks and explore the area with a day trip to Hill Inlet. Day 9: Drive three hours to Townsville and drive around Magnetic Island in a miniature jeep. Day 10: Drive three hours to Wallaman Falls and then another two hours to the waterfall circuit visiting Millaa Millaa Falls, Zillie Falls, and Ellinjaa Falls. Camp the night at Babinda. Day 11: Spend the morning exploring the Babinda Boulders. After breakfast, stop at Walshs Pyramid on the way to Cairns (1-hour drive). Spend the afternoon at Palm Cove beach. Day 12 – 13: Go on a one-night sailing and scuba diving cruise at the Great Barrier Reef. Make your way to Port Douglass. 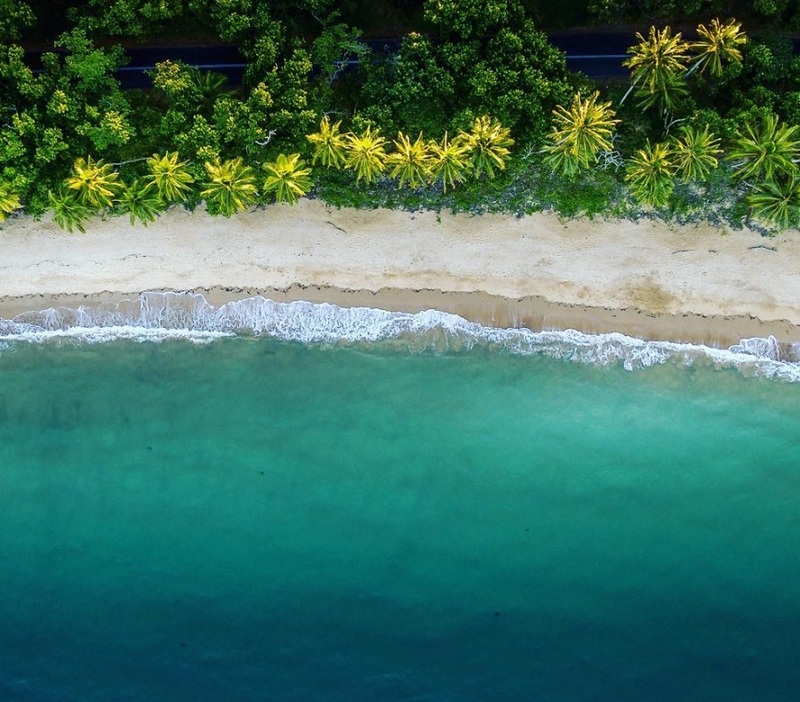 Day 14: Spot crocodiles and untouched coastline one a day trip to the Daintree Rainforest and Cape Tribulation. 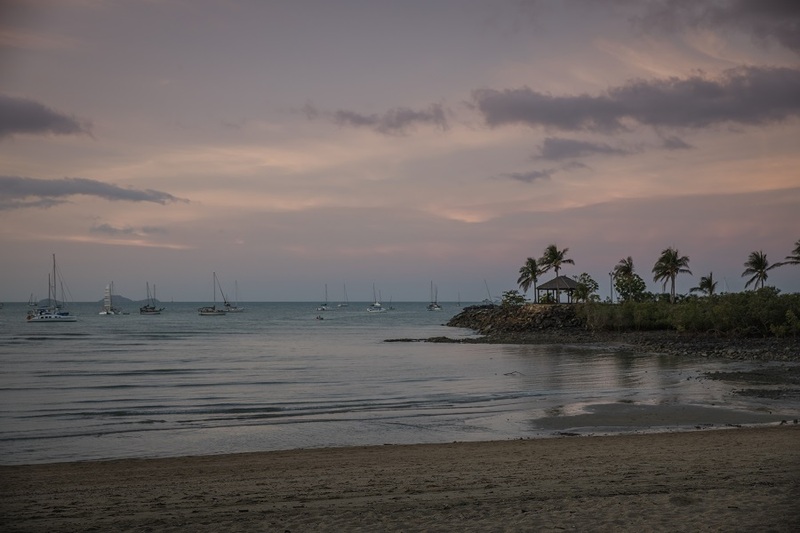 Spend the night at Port Douglas and finish your Queensland road trip! 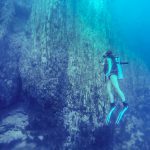 Nice coverage – have been to many of the spots noted. 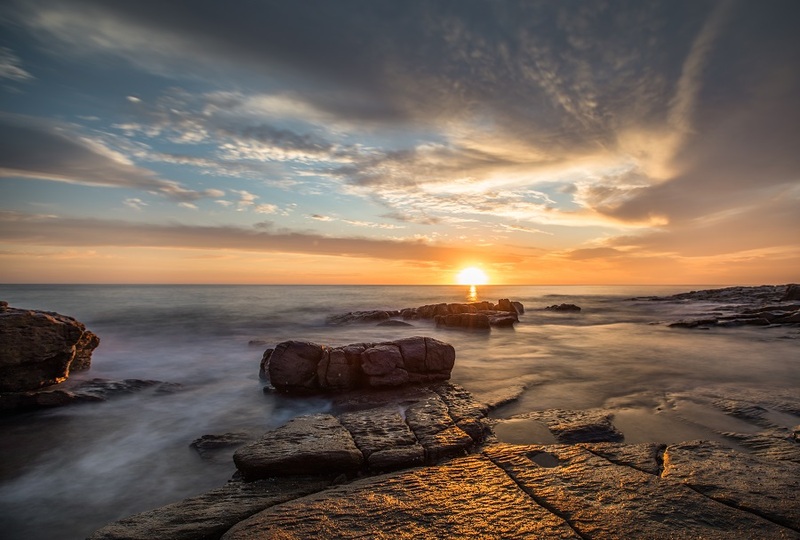 BUT – there is no surf at Palm Cove as it is on the coast inside the Barrier Reef – it has what I would call a coastal shore break; Noosa is a stunning surfing beach – more than the lovely rock pools shown. 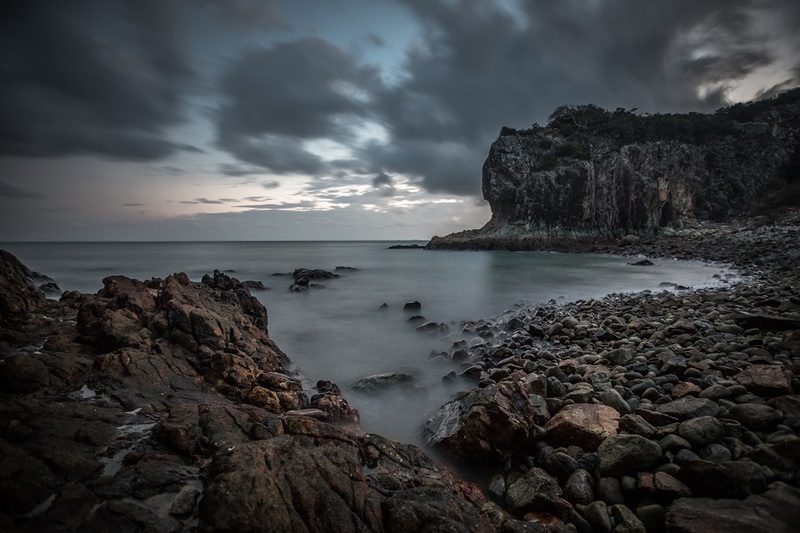 I would add the coastal scenery from Coolum north to Noosa as part of the Noosa story. I get the downside of the long distances between many of the attractions (the total length of the coast line is not much short of 2,000 miles between the tip of Cape York and the Gold Coast (so you need to focus). 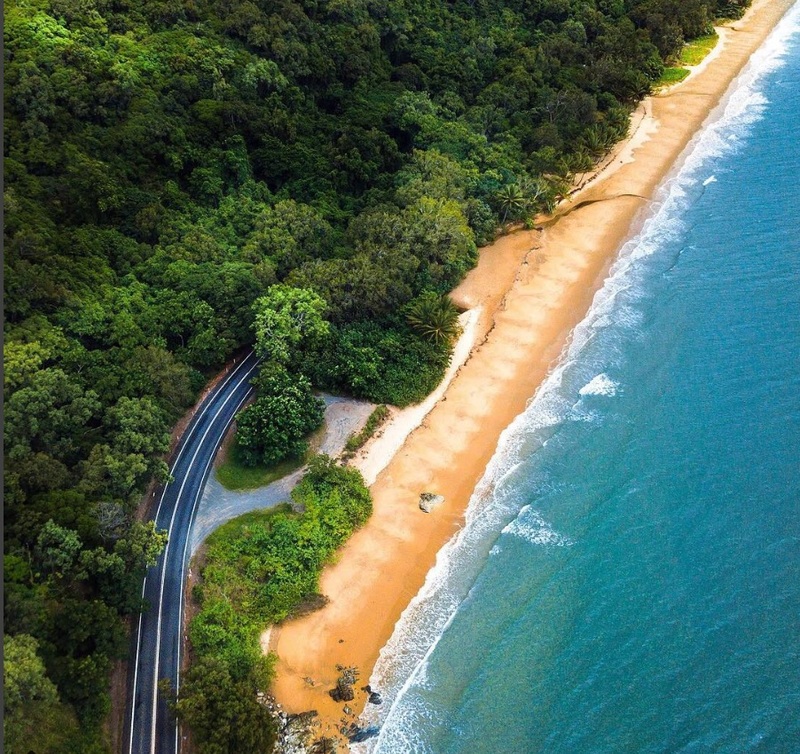 I don’t get the comment that you have to drive huge distances from the highway to get to the coast – maybe to get to Hervey Bay for the crossing to Fraser Island – but it’s not called the Pacific Highway for nothing. Driving for “two hours off the main highway to see anything remarkable” is just plain wrong – that needs specific instances. As a local, I would add April and May to the visiting season – especially if you start in the south. And while this is the author’s list, I would add the Gold Coast hinterland of the Lamington National Park. And maybe Eungella behind Mackay as well as the stunning Daintree (north of Cairns) for rainforest exposures. And we use the term “look-outs” for “overlooks”. Thank you so much for the thoughtful comment! We always love to hear feedback from locals.